Airport Car Lexington MA provides affordable airport transportation services with the cheap and flat rate from Lexington to Boston Logan International airport, Hanscom Airport, Burlington and Manchester Airport, N.H, black falcon Cruise Ports, Boston and Boston South Stations from Lexington, ma. Our Goal is to provide the highest quality of transportation services at an affordable price. Our rates are fixed and there is no hidden fee. All rates are confirmed at time of reservation. If you need a ride for you and your family or for corporate needs, we can be your right selection from Lexington to Boston Logan International airport and Boston Logan International airport to Lexington, ma. You will find us one of the best taxi services company for Boston Airport Taxi Service. Airport car Lexington provides airport transportation services from Lexington to Boston Logan International airport and from Boston Logan International airport to Lexington for our clients with equality and excellence in every step of the way. Our ethos is to maintain high standards at all times to ensure every customer is none other than simply satisfied. Our chauffeurs are immaculately presented, courteous, discrete and attentive to your needs. Our service is tailored to meet the demands of the most discerning passenger. 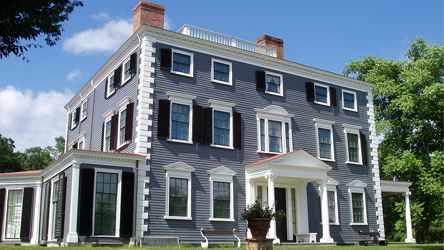 Flat fares as your choice in Lexington, Massachusetts. Airport car Lexington is one of the affordable and reliable taxi cab company that provides very reliable and affordable taxi cab, town car and SUV services from Boston Logan International airport to Lincoln and Lincoln ma to Boston Logan International airport. Today was my first time using them. They were prompt and first-class all the way. Punctual, polite, fast, and safe, with a comfortable, clean car. Ten stars! Called them this morning to ask for a ride home from the train station. Can't ask for better service than that. My go to ride service to and from the airport. The drivers are always professional and courteous. The cars have always been clean and comfortable. It was definitely pleasant and would always recommend using them when in the area. Have used the service numerous times in the last 6 months. Always on time, no issues with finding home address. Cars are clean and drivers are courteous. They are reliable friendly and on time! Highly recommend. Will continue to use them whenever I'm in Lexington. Excellent taxi service, easily the best in the area with extremely competitive rates. Whenever their drive me to the airport it's like I'm getting a ride from an old friend. Highly recommended. A taxi company in Lexington ma that you can trust for your ride.